The Swedish Higher Education Authority (UKÄ) recently assessed Jönköping University’s quality assurance system. Jönköping University was commended for having created an ambitious university-wide system that provides the possibility of participation and the involvement of many parties in its quality work. However, UKÄ also noted that there are new elements that have not yet been fully tested, which makes it difficult to assess how fit-for-purpose and workable the system is. 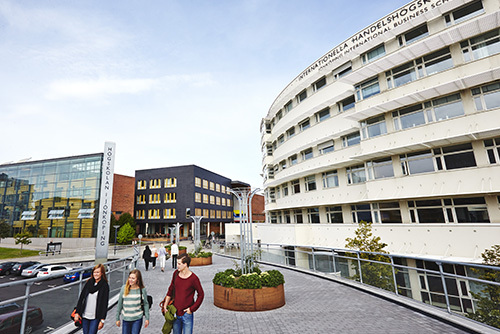 Jönköping University (JU) is continuing to maintain a high level of quality for its courses and study programmes and is meeting the national requirements – this is indicated by both the ongoing reviews of the quality of courses and study programmes conducted by the Swedish Higher Education Authority (UKÄ) and international reviews. UKÄ has now carried out a review of the actual system used to ensure the quality of courses and study programmes at JU. The quality work provides for the possibility of the operation working more strategically and systematically towards its long-term objectives. When assessing the quality assurance system, UKÄ reverted on several points with the opinion that the system has still not been fully tested and that they therefore cannot evaluate whether it is a fit-for-purpose system at the current time. JU now needs to fully test the system, clarify the allocation of responsibility for its quality assurance work, develop the quality assurance system for doctoral studies, and clarify the research basis for courses and study programmes. UKÄ will return with a new assessment panel and new site visit in two years’ time to see how the system functions as a whole. “We get compliments for our committed and professional work on the quality assurance system, for the structure and its clarity and transparency. UKÄ emphasised the potential of the system produced, but found it difficult to assess how well our quality assurance system functioned as it has not yet been fully tested. JU is well‑equipped to continue to develop a robust quality assurance system for both education and research,” confirmed Agneta Marell, President. “It was pleasing that UKÄ’s assessment panel was fundamentally positive about JU’s overall quality assurance system. The supporting information from the assessment panel is valuable to us as regards our ongoing development of the system. Among other things, JU is encouraged to work to increase the response rate for course evaluations and find better pathways for how doctoral students can be more clearly involved. We are now looking forward to testing the system as a whole and refining it,” commented Robert Gunnarsson, Deputy Vice President for Education. UKÄ is reviewing the internal quality assurance systems at higher education institutions. The higher education institutions and UKÄ have a collective responsibility to maintain a high level of quality for courses and study programmes at higher education institutions. All higher education institutions will have their quality assurance work reviewed during the period 2017 to 2022. The first round of reviews started at the following higher education institutions in the spring of 2018: University of Borås, Malmö University, Mälardalen University and Jönköping University. Further information is available on UKÄ’s website.